“I’ll be happy when…” is often a narrative that floats around in our thoughts. We think that we’ll be happier when we’re more in-shape/make more money/are more successful, etc. What we often forget is that happiness isn’t found when we reach the destination, but it is found in the journey it takes to get there. But when is it time to start your journey, or why even start it in the first place? If you’re struggling to think of why now might be the time to start your nursing degree, we’re here to help. 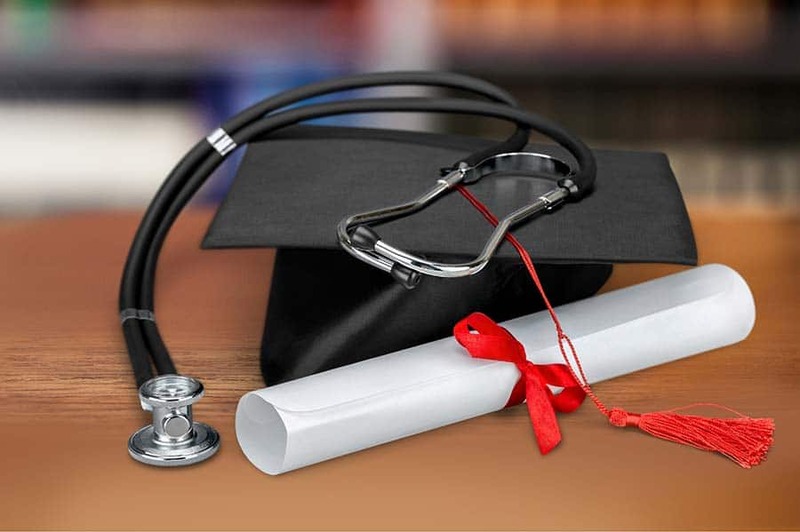 Here are 4 reasons that list why now is the perfect time to start your nursing degree. Is your New Year’s mojo starting to wear off? It’s understandable. According to the U.S. News & World Report, about 80 percent of people give up on their New Year’s goals by February. This is the time for you to stay above average by pursuing your nursing degree at Eagle Gate College. Signing up is the first step in achieving your goal, and with no waitlists and classes starting soon, your motivation will stay on the rise well into 2018. Time spent waiting is time wasted — at least when it comes to your education. When you wait to start your nursing degree, you’re not only putting of your education but you’re also postponing your career in a growing and rewarding industry. That is why we work hard to accept students and enroll them in a term that works for them as quickly as possible. We don’t want you to have to wait to start your degree once you’ve done your part by enrolling, so you can be confident that you won’t be wasting any more of your valuable time. Much like getting to the gym often the hardest part of the workout, choosing to begin your degree can be the most challenging part of the process. This isn’t because it is difficult to apply or enroll — in fact, we make it easier than ever! Dragging your feet on a big life-altering decision can often be easier than starting the process itself, no matter how rewarding or beneficial it may be. Starting is often the hard part, but keep in mind that the sooner you start your degree, the sooner you’ll be finished and on your way to a career you love! With the fastest-growing elderly population, the youngest population, and the lowest death rate in the country, it is no wonder that Utah needs nurses. Not only is this field projected to grow by 16 percent through 2024, but with 48 percent of Utah’s nurses are aging over the age of 45, you can be confident that the demand for your skills won’t be sparse. Start the career you’ll love and get the job security you need when you complete your nursing degree today. At Eagle Gate College we make our student’s time a priority by offering terms that start throughout the year with no wait time necessary. We are here to prioritize your education, career and, ultimately, your happiness. Won’t you make yourself a priority this year? Apply today!